Top class Inspection Report for Dalriada. If you would like to view the full report, click on the link below. Tudor Christmas festivities traditionally lasted from All Hallows to the Epiphany in January; the final evening was a time of merry making, disorder and musical interludes and the spirit of that occasion was perfectly captured in Terry Hunter & Rachel Millican’s thoroughly enjoyable production of “Twelfth Night” which ran from 1st – 4th December, 2010 at Dalriada School. Today Dalriada School had 2024 reasons to celebrate reading, after pupils read their way through hundreds of books to rise over £2,024 to support a local children’s cancer charity. for Children’s (NICFC) sponsored ReadOn initiative, which challenges pupils to read as many books as possible in a week, to help local children living with cancer. Double Double, Lots of Toil and not much Trouble . . . for Junior Drama Club! ‘The Scottish Play’ was brought to life this term when Junior Drama Club decided that Shakespeare deserved its attention. With Marcus McLean as a convincing Macbeth and Laura Abernethy’s haunting performance as Lady Macbeth, the plot unfolded for the Year 9 audience in the John Armstrong Hall. The performance in the round gave our young actors the new experience of having audience on three sides and they coped admirably. Emma Jones as Banquo, Calum Telfer as Duncan and Aoife Cameron-Mitchell as Macduff kept us all intrigued from beginning to end, while the three witches, Megan Myer, Constantine Arnscheidt and Kamila Marszalek created a tangible sense of the sinister by infiltrating almost every scene. The Scottish Thanes Jonah Myer, Sam Gault and David Willis along with Lily Meldrum and Rachel Beckett who played Duncan’s sons, Gage McAlister as Fleance and Andreas Karmiotis, the Porter, all told the story of Macbeth’s downfall with energy, pace and obvious enjoyment. Well done to every member of the cast and a big thank you, too, to Thomas Hancock our prompt. Drama Club is now starting a new programme with a new intake of pupils, so if you are in Years 8-11 come along to B5 at lunchtime on Tuesdays. We look forward to you getting involved in our next performance! 2010 Volleyball Season off to a good start! After a tense two days and 10 matches for our Under 16 Volleyball teams, the Year 11 Girls recorded their first win yesterday and the Boys also had a win against Markethill. The Year 12 girls emerged victorious over Markethill, Craigavon and St. Mary’s, Lurgan. Captain Kerry Kirkatrick and her girls remain undefeated in all of their games so far and having beaten last years Northern Ireland Champions they are odds on favourite with three matches left. Congratulations!!! In the Under 18 section Dalriada Girls also top their table having beaten off all opposition so far including last years champions Armagh. Coaches Dr Walker and Mr Nelson are hoping for a repeat of 2008 when both girls teams qualified for the All-Ireland finals and went on to win. On Saturday 20th November the Bar Mock team travelled to the High Court to compete in the Belfast heat of the Bar National Mock Trial Competition. On Thursday 18th November, a team of six Dalriads competed in the annual Soroptimist International Public Speaking competition. It was held in the Tweed Conference Room of the Robinson Hospital in Ballymoney, and was a very enjoyable evening for all who attended. The girls gave their views on a wide range of topics, including Facebook, Beauty and the Welfare State. After a very high standard of speeches were delivered, the judges took time to deliberate while the nervous pupils enjoyed some light refreshments. Congratulations to Annabeth McDowell who placed second overall after speaking about Facebook, Abigail Curry who spoke about Beauty and placed joint third and all the girls that took part. Thank you to Ms Timmins for arranging the evening and practising and perfecting the speeches with the girls. Abigail, Rebekah and Annabeth, Year 12. Dalriada beat the highly rated and ranked Campbell College in a thrilling game 20 -18 in Belfast. The game really emphasized that this Dalriada team has the ability to beat any of the school sides in Ulster and the victory was built on skill, intelligence and sheer will not to give up when down. The benefit of the tour to Gloucester shone through; the confidence gained by taking on the best in the four nations at school’s level meant that no team in Ulster is really feared. What makes this victory so outstanding is that it came from being 18-3 down. John Laughlin hit several good kicks and couple of tries from Johnny McMullan, one a trade mark interception brought the score to 18-17 and with only time on the clock for one more play, Dalriada patiently took the ball through the phases right up to the Campbell try line. This same scenario was played out the previous week against Neath on the Gloucester tour, one score one play left. That day the side kept the ball through fourteen phases got over the line but could not ground it. However on Saturday the drama unfolded with a different outcome. The victory will give the side the confidence for the next few weeks in the lead up to School’s cup and Dalriada will again enter the Cup at the third round. 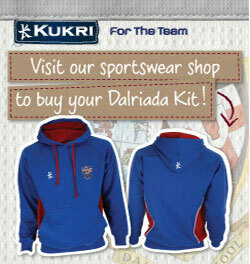 Dalriada had another profitable day on Saturday with some big wins for their teams over Larne GS. The 1st XV backed up their win over Campbell the previous week with a very good away performance, running in four tries. The 2nd XV also scored a four try victory, running out impressive 26 – 0 victors. The medallion sealed off the day playing at home with a 61-0 win scoring nine tries in the process. Our dramatic production this year, Shakespeare’s Twelfth Night, is on Thursday 2nd, Friday 3rd and Saturday 4th December. Tickets are available from the school office (02827663066) Adults £8 and Concession £5. Update: Tickets are available now only for Friday night, so if you plan to come, book soon!